Anyway this is a sample. I hope this sample itinerary help you When you make your own plan. *You can get Nikko from Shinjuku directly by Limited Express Nikko. But this express train goes on Tobu line. Japan Rail Pass does not cover this section. If you need more info, please refer Limited Express Nikko and Kinugawa. 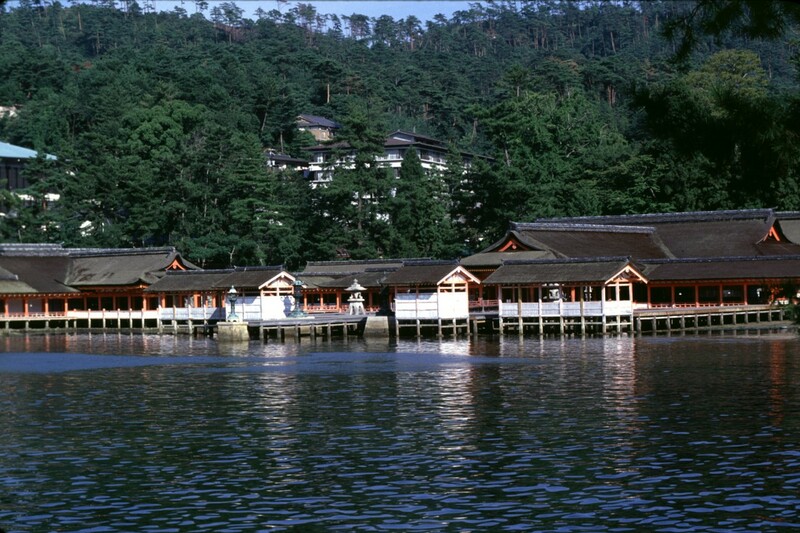 *You can go to Zao Hot Springs after arrival at Yamagata. I choose only major cities to stay in this itinerary because you can find the accommodation very easily. But you can skip Yamagata and go straight to Zao. The last bus depart from Yamagata station to Zao at 18:40 and arrive at Zao at 19:17. (2011 summer timetable) Zao hot springs is a nice spa resort. Zao Ropeway start to operate at 08:30am. You can enjoy the fresh air and easy trekking at the summit. You can enjoy it for 1.5 hour. Okama is a lava lake. You cannot access this spot in winter time. There is only one restaurant there. So it is very busy in lunch time. If you have a plan to have a lunch there, please make sure your schedule. Yamadera means the mountain temple. There are several temples. Most well-known haiku poet Basho Matsuo wrote one of his famous haiku there. You can skip here if you want to arrive at Sendai earlier. *You can enjoy easy hike up to Ogitani. The trail head is 10 minutes away from the station. It takes only 10 minutes hike up to the view point. Enjoy the panorama view of Matsushima. You can enjoy a fresh seafood lunch here at Matsushima Sakana Ichiba (Matsushima fish market — Japanese website) after sightseeing at Matsushima. You may have a seafood lunch around 1000yen. Of course you can go back to Sendai. Full day free in Sappro. You have several choice, staying in Sapporo, half day trip to Otaru, full day trip to Furano, or you can go even Kushiro marsh. You can get some information about Furano at Furano Lavender Express / Furano Koyo Express. If you are looking for day trip to Kushiro from Sapporo, please refer Kushiro Shitsugen Norokko train. *You can extend to stay in Sapporo instead of Hakodate. If you don’t need to stay in Hakodate, you can take Super Hokuto 16 (Sapporo 14:52 – Hakodate 18:09). *Before you depart from the hotel, ask to store your luggage to the hotel. Because you will walk along Oirase gorge. It is short hike, but you cannot carry your luggage. *Don’t forget to pick up your luggage at the hotel. 22:00pm Depart from Tokyo station by Overnight train Sunrise Seto/Izumo. 09:55am Depart from Hakata station by Limited Express Kamome 13. 11:48am Arrive at Nagasaki station. After arrival, enjoy exploring Nagasaki. 06:00am Depart from Nagasaki station by Limited express Kamome 2. 07:31am Arrive at Shin-Tosu station. After arrival, transfer to Kyushu Shinkansen. 07:50am Depart from Shin-Tosu station by Kyushu Shinkansen Tsubame 331. 08:26am Arrive at Kumamoto station. After arrival, transfer to Limited express Kyushu Odan Tokkyu (=Trans-Kyushu Limited express). 08:35am Depart from Kumamoto station by Limited express Kyushu Odan Tokkyu 2. 09:43am Arrive at Aso station. After arrival, take a local bus to one of very popular active volcano, Mt. Aso. 10:00am The bus to Mt. Aso depart from Aso station. 10:40am Arrive in Mt. Aso West (Gondola station). The bus fare is 730 yen for one way to Aso Nishi station. The gondola fare is another 1,000 yen for round trip. 13:05pm Depart from Mt Aso West by bus to Kusasenri/Mt. Aso Museum. The bus fare is 140 yen. 13:10pm Arrive at Kusasenri/Mt. Aso Museum. 15:40pm The bus depart to Aso station from Kusasenri/Mt. Aso Museum. The bus fare is 670 yen. *You can spend your time for the gondola only. In case of that, the bus leave rfom Mt. Aso West at 15:35pm. *Unfortunately the bus company (Kyushu Sanko Bus Line) does not have any English website. But the gondola company Mt. Aso Ropeway has English site. 16:13pm Depart from Aso station by Trans-Kyushu Limited express 6. 18:13pm Arrive at Beppu station. Stay at most famous hot springs resort in Kyushu. 12:53pm Depart from Beppu station by Limited express Sonic 32. 14:03pm Arrive at Kokura station. After arrival, transfer to Sanyo Shinkansen. 14:22pm Depart from Kokura station by Sanyo Shinkansen Sakura 566. 15:09pm Arrive at Hiroshima. After arrive at Hiroshima, enjoy sightseeing in downtown Hiroshima. Enjoy full day sightseeing in Miyajima. Please refer the post, How to get Miyajima, about access from Hiroshima. After sightseeing, take Sanyo Shinkansen to Okayama. 16:15pm Depart from Hiroshima station by Sanyo Shinkansen Sakura 568. 08:45am Depart from Kanazawa for Shirakawa-go by Nohi Bus. Reservation Required!!! Don’t forget to make a reservation. This bus is not included in Japan Rail Pass. The bus fare 1,800yen. *If you need more information about access to Shikawago, please refer one of my posts, How to get Shirakawa-go. Enjoy sightseeing UNESCO world heritage site Shirakawa-go. *Reservation Required!!! Don’t forget to make a reservation. This bus is not included in Japan Rail Pass. The bus fare 2,400yen. Eenjoy sightseeing in very traditional Japanese town, Takayama. City tour in Osaka City such as Osaka Museum of History , Osaka Castle, Tsutenkaku, Shitennoji Temple, etc. 6 Nov – Join a day trip to Amanohashidate. Gather at Namba Station. 7 & 8 Nov – Plan to travel out of Osaka such as Himeji, Lake Biwa or Wakayama. 9 Nov – Travel to Kurama & Kobe for Cup Noodle Museum and Arima Onsen. Might visit The Osamu Tezuka Manga Museum as well. 11 & 12 Nov – Check out from hotel at Tsuruhashi Station and travel to Onsen Hotel in Ohara, Kyoto. 17 Nov – Might go Kyoto Railway Museum. Check out from Hotel in Kyoto. Travel to Izumisano Station and stay for a night. 18 Nov – Flight back to Singapore in the morning. Can this fulfill my itenerary and also my tide budget? Else, is there an alternative? ICOCA and Haruka for Nov 4 and 17. You may add Kansai one pass instead of ICOCA. It’s basically same but you can get a discount at many attractions. *You mentioned “Travel to Kurama & Kobe for Cup Noodle Museum and Arima Onsen. Might visit The Osamu Tezuka Manga Museum as well.” on Nov 9. But Kurama is in Kyoto. Cup Noodle Museum is in Osaka. Osamu Tezuka Manga Museum is in Takarazuka. Those places are not in Kobe. Especially Kurama is totally other direction. You may be able to combine Cup Noodle and Tezuka Osame on top of Arima. But it’s still very tight. In Kyoto, you can use Kansai one pass and Kyoto city bus pass. When you take train or subway, you can use Kansai one pass. You can use it to take a bus too but city bus pass is only 600 yen for one day. You can get the worth by only three rides. If you are not sure that you will make three or more bus trips, just use Kansai one pass. Thank you very much for your prompt reply and thought guide. As you advised, I’ll adjust my plan accordingly. I have few more questions regarding this matter. It’s a bit long though. 4th Nov: To get to my hostel, I assume that the best way is to buy train ticket by Kanku-kaisoku? I’ll go around Osaka downtown later. Should I buy a Eco one day pass for unlimited buses and subway right after my arrival of the airport? I know that Nozomi wont include in my JR Pass. Is it any alternate way? If I go by another train, I will miss the next train at 09:36 as below right? 13:51 Shinhakodate-Hokuto to Sapporo via Limited Express Hokuto. This is also not cover by JR Pass right? 8-9 Nov: I believe that I can use Suica card in Sapporo for buses and subway. If I travel a lot by public transport, is it more economical to buy a day pass instead, e.g subway 1 day pass? Thank you for your advice regarding to Daisetsuzan National park. I”ll arrange time to go there if I manage to fit it in my schedule. 11 Nov: To get to Noboribetsu, what is the most economical route? This route takes longer time but money saving, am i understand correctly? I think cost effective is good, however time-saving is as crucial. Hakodate-Shin-Hakodate-Hokuto-Tokyo and it takes about 5 hours. I am wondered if Hakodate Liner is covered by JP pass or it is local train? I’ll go around a lot of places. Do you think if I should purchase Tokyo one day pass instead of using my suica card? I assume I should buy Fuji Hakone pass , Do I have to buy a pass for both 16th & 17th? or for Hakone trip only? I can get to Lake Kawaguchi by highway bus from Shinjuku. Or should I get Hakone free pass (can use for 2 days)? Which is better option in your opinion? I searched the way to get there. Could you please re-checked? Should I buy a one day freepass Enoshima-Kamakura? is it more cost saving or about the same price? To get to Nikko, should I take this route? Tokyo-Utsunomya by Shinkansen Yamabiko then take JR Nikko line to Nikko. This trip takes 2 hours. I believe that it’s all covered by JR Pass. So it wont cover by JR pass right? But I can go by Shinkansen Hikari instead right? It will be one hour longer but cover by JR Pass. Am I correct? or via Maibara (through JR Tokaido Line) to GIFU then take the Limited express wide view Hida to Takayama. Since my JR Pass is still valid, I could use the sightseeing loop bus for free right? Should I get the one day pass to use the street car (Hiroden)? I’ll probably back to Hiroshima for quick dinner before getting back to Kyoto. Will the pass worthwhile? To get to Uji & Nara, instead of JR Nara Line, which alternative train i can choose from? Is it Kintetsu train line? Which route should I take actually? is it by Special rapid service? It will go from Kyoto to Osaka then Himeji then Kobe , all by Special Rapid service? Or it will be Kyoto-Osaka-Himeji then back to Osaka-Kobe? I am sorry that I find it a bit confusing. I assume that I’ll have to take the train to Osaka first then go to Shin Imamiya st/Namba st (by Osaka loop line or Midosuji line), take the train to Gokurakubashi to Koya san then take cable car to the top. Is it mostly cover by Kansai thru pass? 2-4th Dec : For my last three days in Kyoto and Osaka, do you recommend to buy an pass ? I’ll go shopping and sightseeing around the city. It include one way train from Kyoto to Osaka, one way train to the airport from Osaka centre. That’s about it. I apologise for a very long inquiries. It’s my first time travelling to Japan and I am still learning about Japan travel system. I find it quite difficult. I am truly thankful for everything. You may find the timetable in the links below. All trains except Nozomi and Mizuho are covered by JR pass in these timetables. So you can use Shinkansen and limited express trains as much as you can. When you build a plan, these timetables are more convenient than hyperdia. I think you can find all solutions about Osaka-Tokyo-Hokkaido-Tokyo part in these timetables. Nikko trip is covered fully. For Kyoto to Takayama, you can use Shinkansen and Wide View Hida. 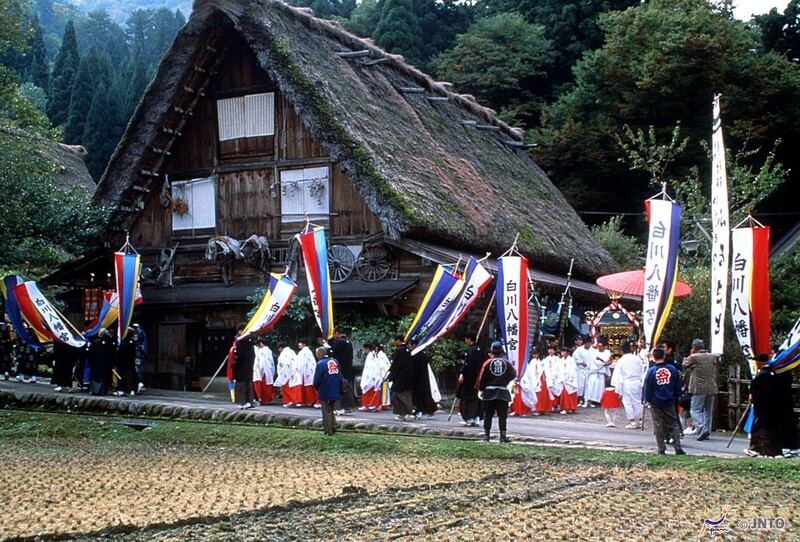 But there are one round trips of Wide View Hida running between Kyoto/Osaka and Takayama. If you take this, you don’t need to change trains at Nagoya. When you go to Hiroshima, you can take Shinkansen from Kyoto. You need to change trains at Shin-Osaka or Shin-Kobe because mostly Nozomi goes to Hiroshima directly, Hikadi does not. But Special Rapid is always busy. Shinkansen is better. Please see the link below to find the coverage map of Kansai thru pass. 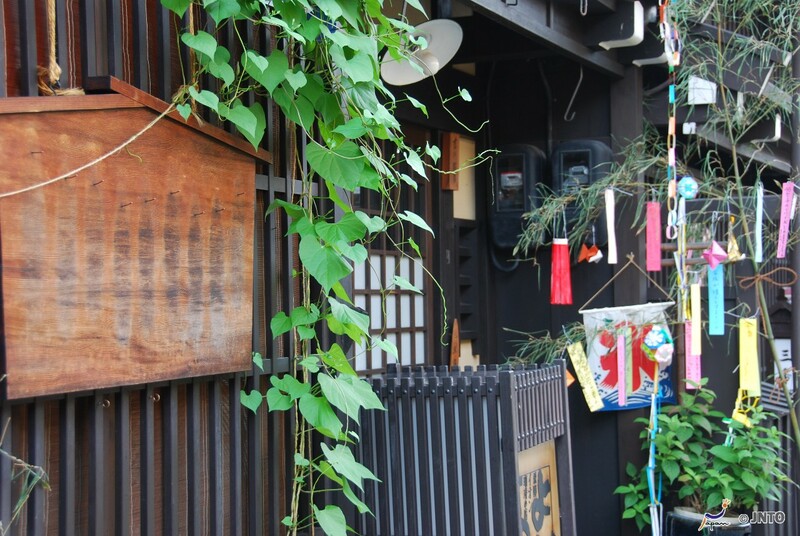 You will find the route about Uji, Nara and Koyasan. Special rapid runs between Kyoto and Himeji. You don’t need to change it at Osaka and/or Kobe. You can get Himeji directly from Kyoto. In Hyperdia, it’s shown separately but it’s same train. Currently train lines and cable car to Mt. Koya are closed because of damaged by typhoon. Substitute bus runs between Hashimoto and Koyasan. You may take it by Kansai thru pass. It may be restored by your trip date. But at this point, I don’t know how long it will be. I will update when I get the info. I am so grateful for your kindness . It’s really great help for me. Thank you for sharing the links. I’ll studying hard for the next few days. I truly need to know it well before the trip. I’ll try to remember the name of the trains and some important tip/information/rules as much as possible. For my Fuji trip, I’ll first plan out where I really want to go and decide on the pass accordingly. If I buy any pass, I should use it to its worth. For my trip to Kamakura and Enoshima Island, I think the most economical way is to buy a one day Kamakura-Enoshima pass. from Shinjuku station It includes everything and it’s time-efficient. I’ll take note about the trip from Kyoto to Takayama. There is only one round trip like that each day so I’ll have to plan carefully. Thank you for your advice on Hiroshima trip. I’ll definitely re-consider my plan. For the Kansai-thru pass, I’ll study its coverage to maximise usage. I’ll go from Kyoto to Himeji first then from Himeji go to Kobe and back to Kyoto. A round trip like this sound great. I feel disappointed that I won’t be able to visit Koyasan this time. The natural disaster is unpredictable, it’s really unfortunate. I guess, it will be a top reason to plan my next trip back to Japan in the future. My friends visited there and they strongly recommend me to visit Koyasan. They said it’s such a healing and beautiful place.I hope that the transport system to Koyasan will be fixed soon. There will be next time. I still have many places that I could not able to fit in my first trip. At first I thought one month seems long , after planning , actually 1 month will pass by really quickly and it’s not enough to discover all the beautiful places in Japan. However, for my first trip to Japan, this schedule seem good enough. I am really looking forward to it. Once again, sincerely thank you for all your help and support. You CAN visit Koyasan. As I mentioned, train line and cable car are closed. But you can take a substitute bus service from Hashimoto to Koyasan. Hashimoto is located on the way to Gokurakubashi. You just cannot get there by train and cable car. Bus will take you there. Hi Takeshi, hope you’re having a good day. Thank you so much for creating this informative article. 9 days in Fukushima and touring around neighboring spots like Sendai. Will also go around the areas within Fukushima. The week after that (around 5 days) we will spend at Osaka and Tokyo respectively. First 2 days in Osaka (planning on visiting: Uncle Rokuro, Nara Park, and Kyoto Palace among other places if still possible). Then the next 3 days will be spent going to as many places in Tokyo as possible. We’ve booked a hotel in Osaka and Tokyo for those days. Which JR pass should I get for an itinerary such as this? I’ve tried figuring it out on my own but I’m still having a hard time wrapping my head around it as it’s the first time I’ll be spending in Japan. Also, I would just like to clarify that if I buy the 14-day pass, that would give me unlimited access to all areas in Japan where there is transportation that’s supported by JP rail no matter how much it actually cost? 14 days JR pass is the best choice. Actually the fares for Tokyo-Fukushima round trip by Shinkansen and Tokyo-Osaka round trip by Shinkansen are almost same as 14 days price. You will use the pass to make day trips from Fukushima. It’s very easy to get the worth.